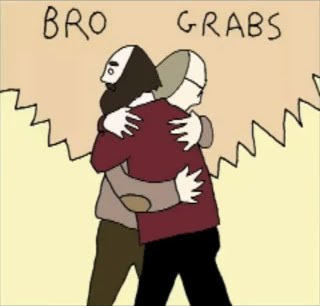 I have nothing witty to use as an image today, so here's two guys performing a bro grab. Ho boy, next chapter looks like a doozy to edit. No promises on when it'll be out. Keep up the great work!! Really love this series. This manga is awesome and you should feel awesome for translating it. I'd like to show my heartfelt appreciation of your AMAZING IMPECCABLE scanlation. Wow, that 1st chapter was powerfully memorable, conveying eloquently the pure pulse of hypnotic speed & ferocious competition. Sekiya-sensei is the true mangaka at heart. He clearly knows how to captivate one's heart with his signature style. U know, I almost always look forward to seeing some exciting updates of Bambino! in MT. After all, it truly stands out so individualistically with its exquisite aura. Many thank yous of your passionate enthusiasm~! !